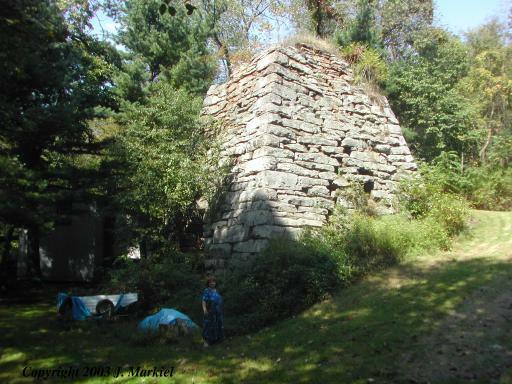 Buchanan Furnace remains in good condition. 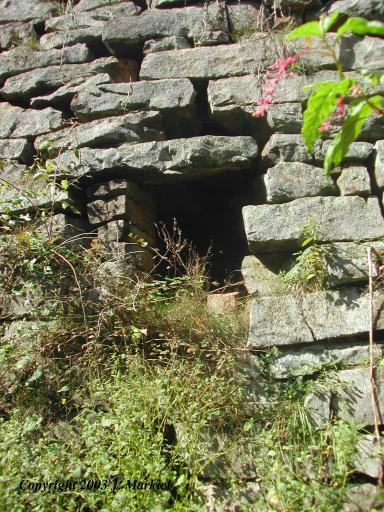 The furnace has a single tuyere on the LH side, but the RH side has an unusual opening, shaped almost like a rectangle. 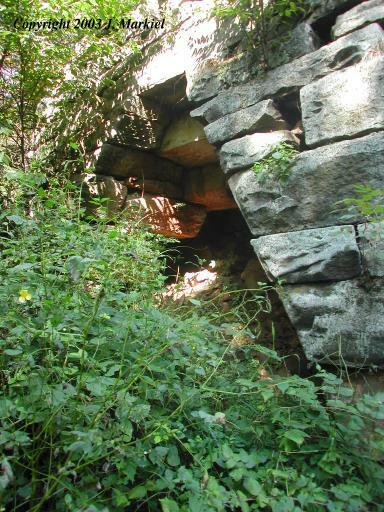 The long side is oriented in the vertical direction. 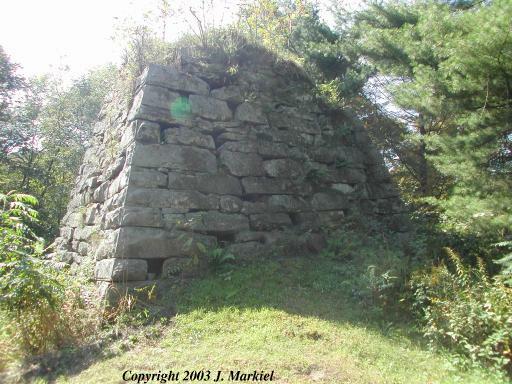 There is no evidence of cupola stonework in the stack. 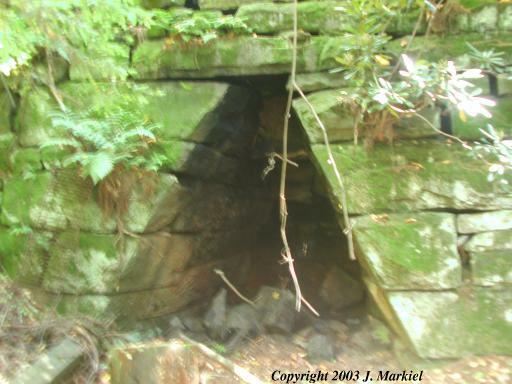 Slag surrounding the area is highly porous, ropy, and black. 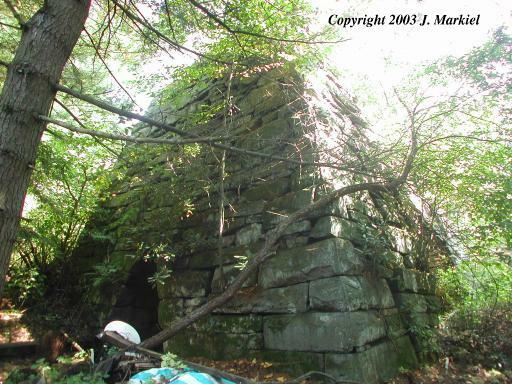 According to Sharp & Thomas, in 1850 the operators of the furnace were Plummer and Creary. From Callensburg, take 58 West across the Clarion River. Just past the bridge on the right hand curve is a house with a large lane on the south side going back behind the property. Park, ask permission since the furnace is on private property. Follow the lane around to the river and then turn right. The furnace will be just ahead on a slight rise.